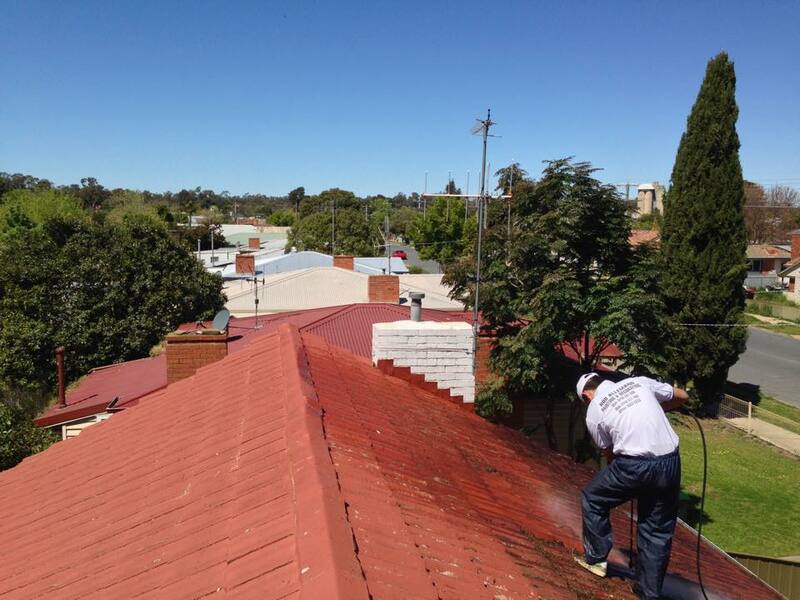 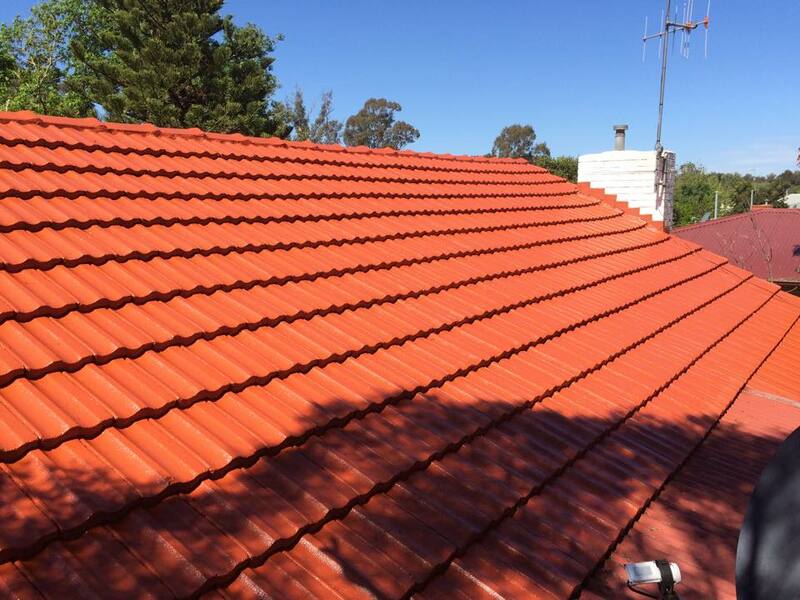 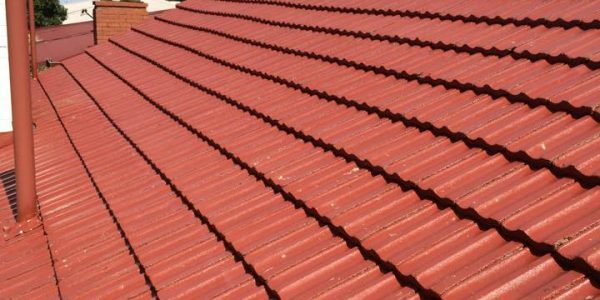 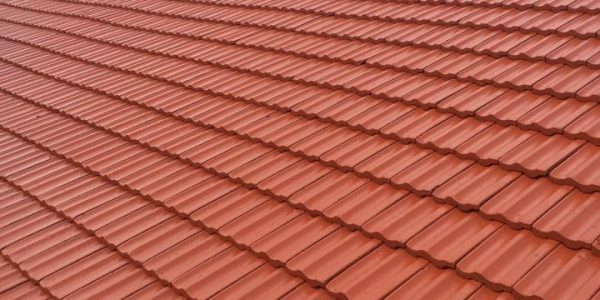 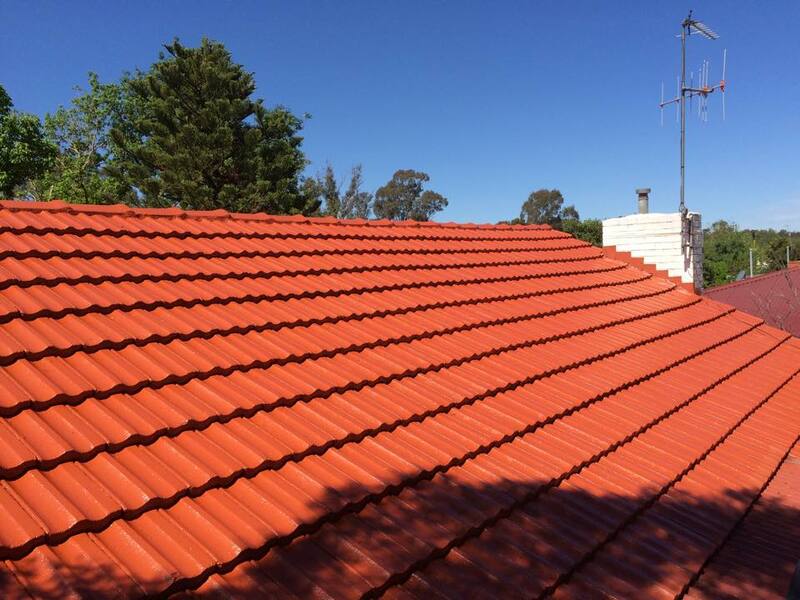 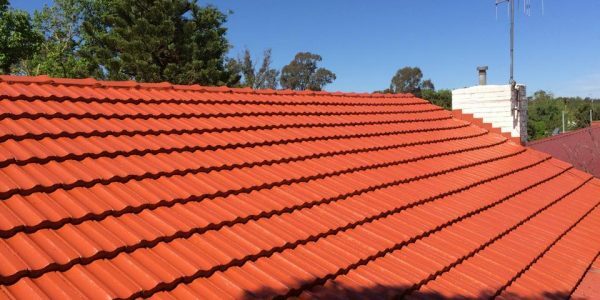 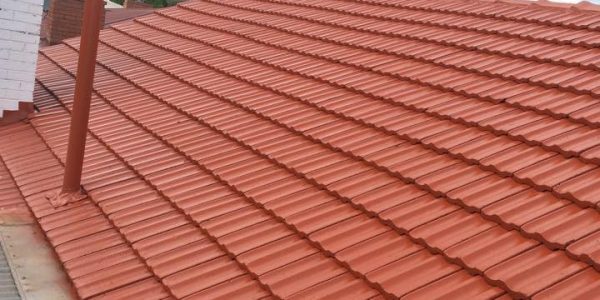 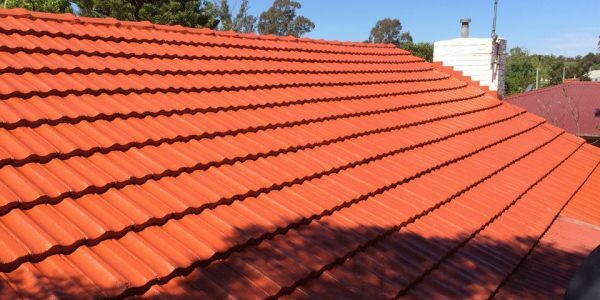 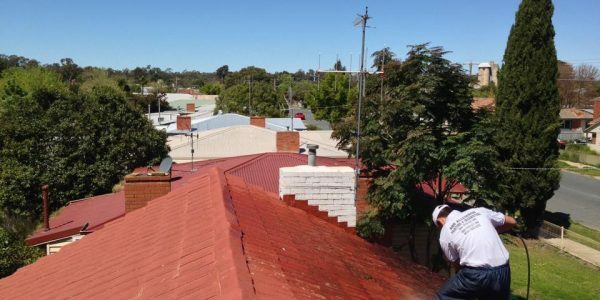 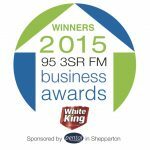 Tiled roof repaint Mooroopna. 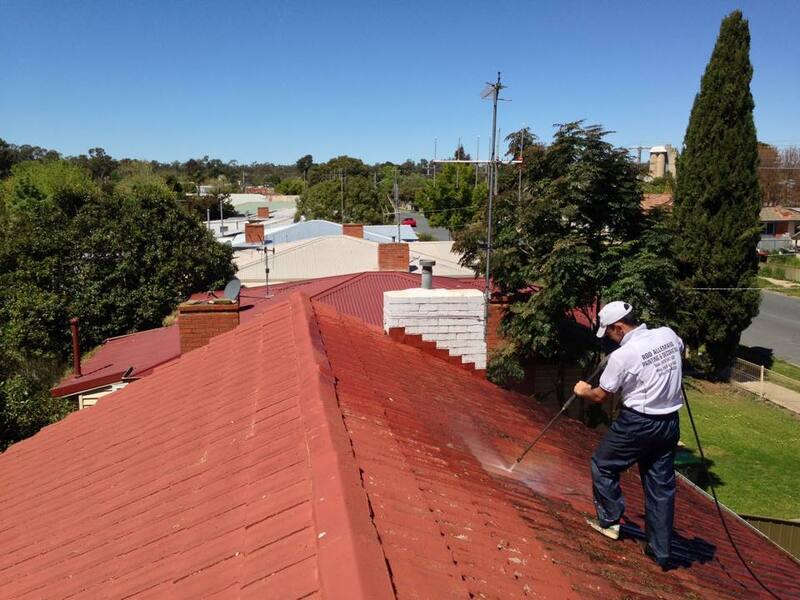 Jason high pressure washing roof. 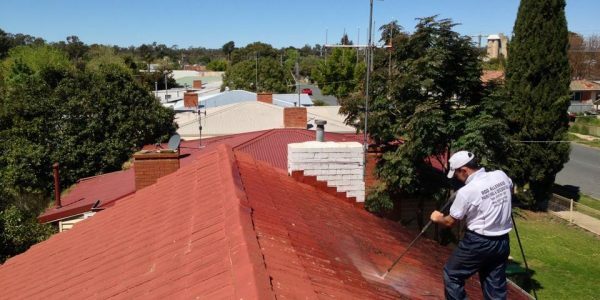 Tiled roof repaint Mooroopna. 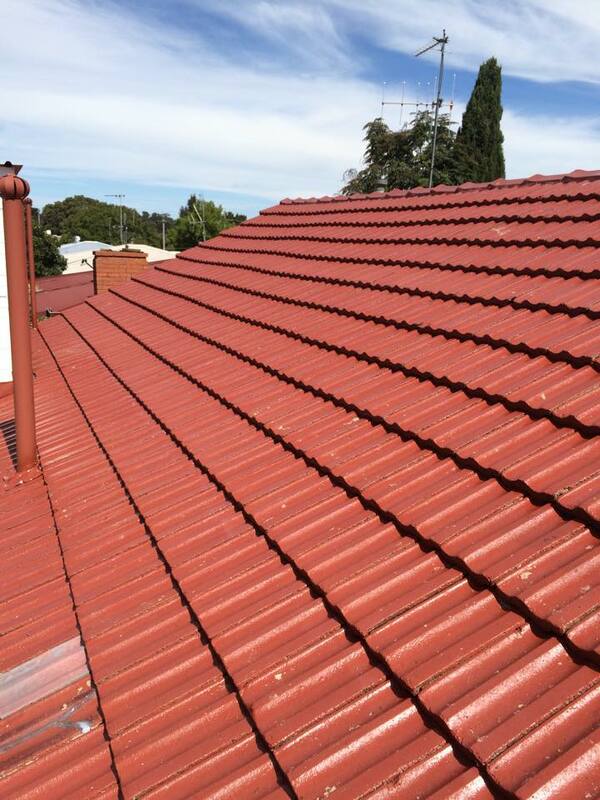 Sealer coat applied. 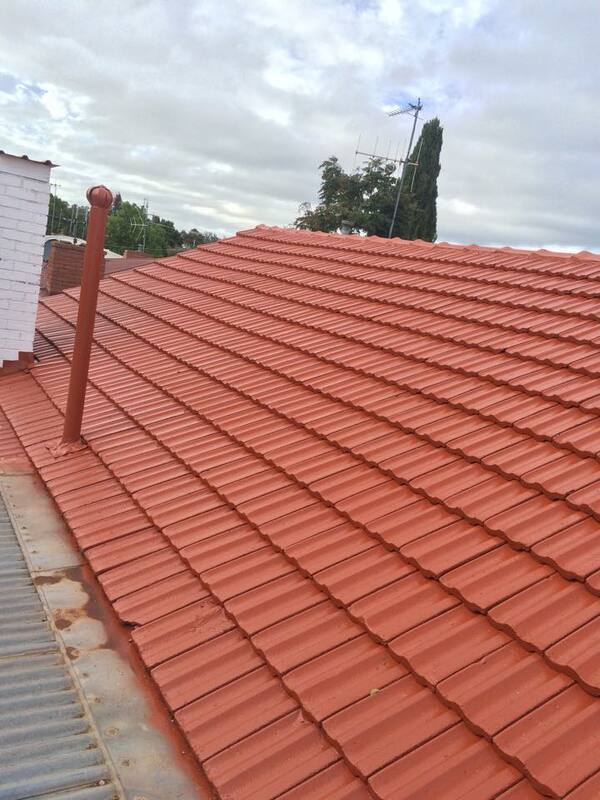 Tiled roof repaint Mooroopna. 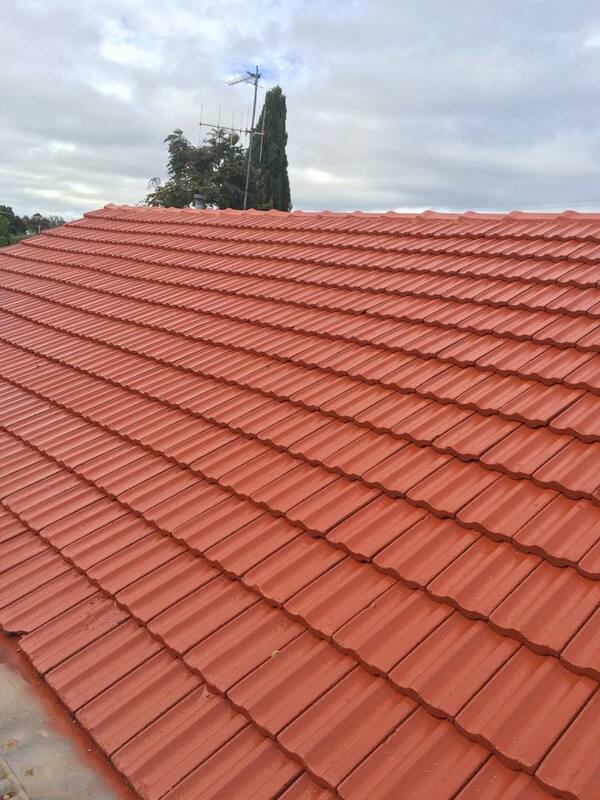 After 2 topcoats.